A lot has happened at ameria since our Companisto campaign was launched in March 2016. 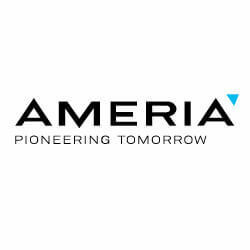 From new customers, to investments as well as events and developments - life at ameria is far from boring. As the campaign will end in a few days, we would like to use this opportunity to provide you with a short review and to thank you for placing your trust in Virtual Promoter. 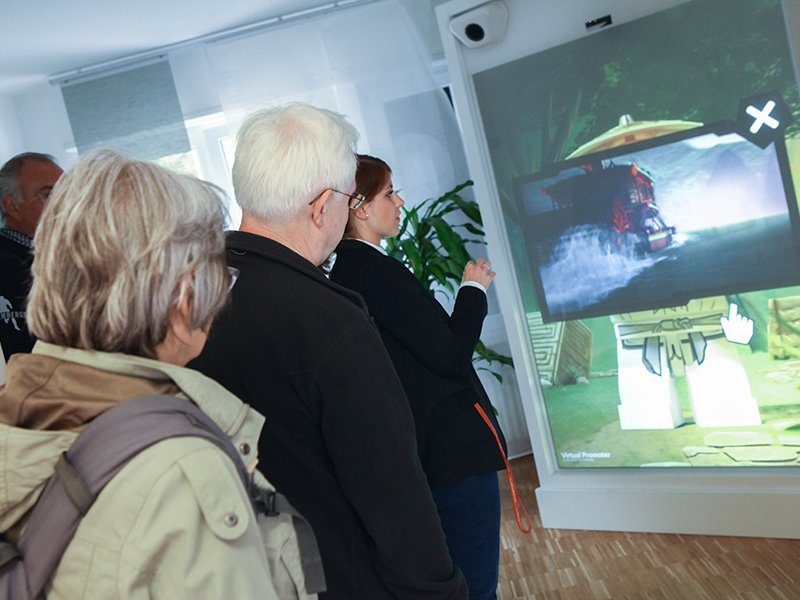 More than 1000 Companists invested in ameria and helped to advance the future of the digital shop window. Throughout the campaign, you have gained insights into everyday business at ameria. We shared news of new customers and Virtual Promoter installations as quickly as possible. 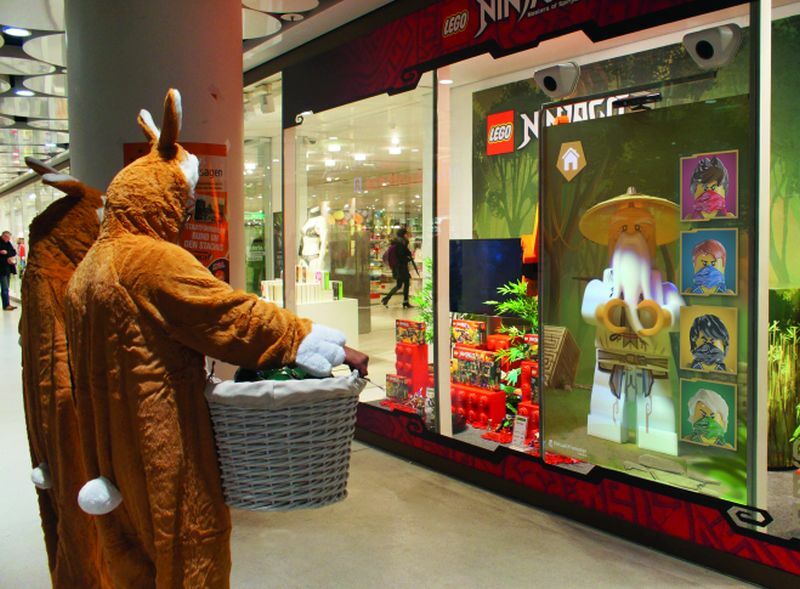 For example, during the Lego Roadshow in Galeria Kaufhof stores all over Germany. You found out where to meet the ameria team and the Virtual Promoter on Companisto during the four months of the campaign. 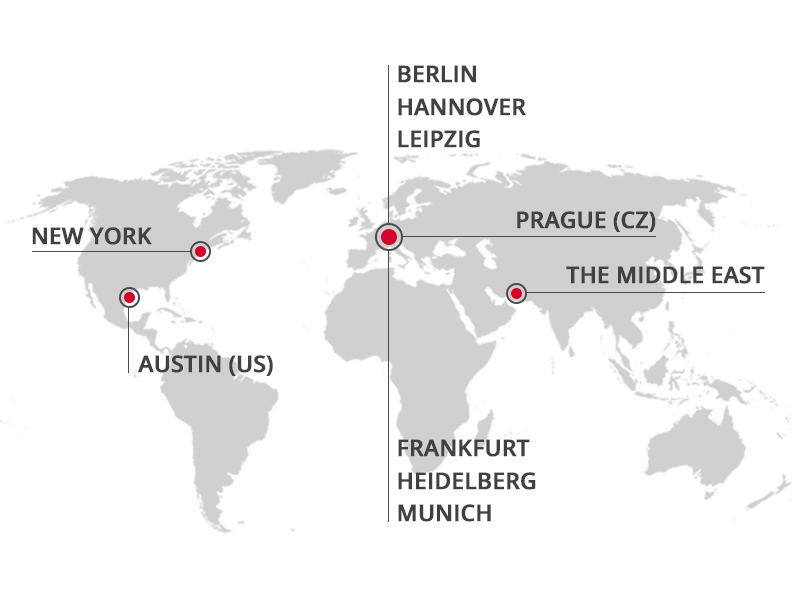 And let us not forget to mention our international stops such as New York, Texas, Prague, the Middle East and many more. The aim of our roadshow was to introduce Virtual Promoter to an international audience, which we achieved with the help of our investors. During the campaign, we gave you exclusive insights into financing at ameria, for example in our updates on private investments by Virtual Promoter fans or even employees. 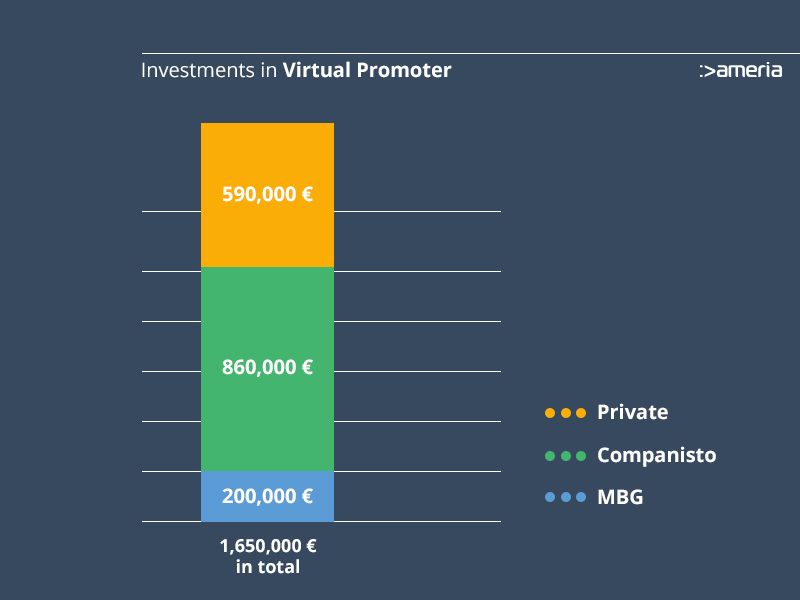 The Companisto campaign played a major role in attracting so many private investors for Virtual Promoter. Thanks to you, dear Companists, and thanks to our private investors and the Mittelständische Beteiligungsgesellschaft (MBG), we have now registered an additional investment volume of approx. € 1,650,000 since March 2016. This boost will enable us to make significant progress in terms of our national and international market placement, the development of our sales and marketing departments as well in technological developments. We shared all news in our Companisto updates and also presented them at our events. We organized numerous events as part of the Companisto campaign: open days at our headquarters in Heidelberg, a press event and a roadshow in Munich, Berlin and Düsseldorf. We are very happy that our events were so well-received and are particularly pleased that so many Companists took the time to come and see us. Aside from events and Virtual Promoter presentations, the ameria team also had many other things to do. We went on a trip to the Netherlands where we achieved our latest success: a patent for Virtual Promoter. 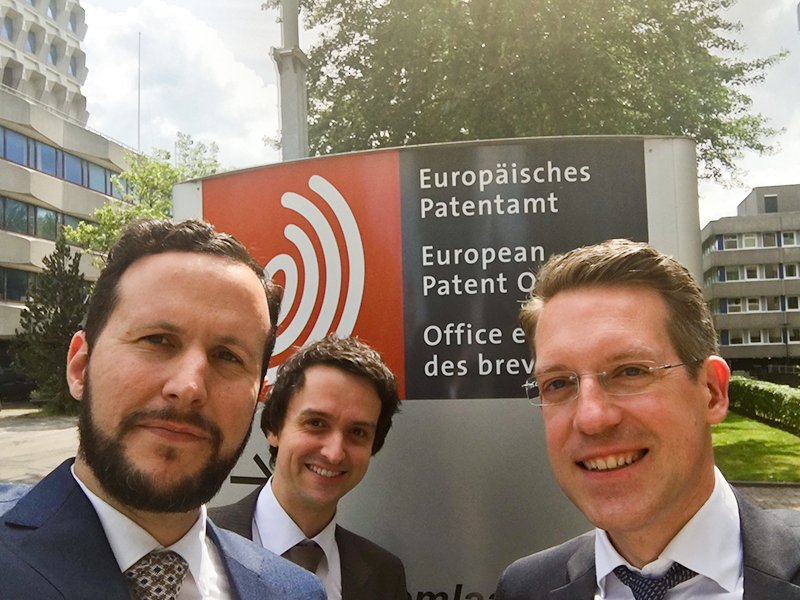 Managing director Christian Ensslen and the head of software development, Michael Huhn, visited our patent attorney at the European Patent Office in The Hague on 16 June 2016 and returned to Heidelberg with a patent for Virtual Promoter. ameria was granted a patent for "a gesture-controlled rear-projection system". The patent is an important step for ameria as well as for you, the Companists, as it will significantly influence developments in terms of Virtual Promoter's market placement. We are working very hard on our US patent in order to take a further decisive step towards internationalization. We achieved a lot over the last few months. And you were there to support us. Companisto did not just offer financial support but also gave us many new marketing ideas. But we at ameria GmbH are not the only ones who will benefit - you, the Companists, will as well. You invested in a young and success-hungry business and a pioneering product. We are very happy that you are a part of our success story! ameria only knows one direction: forward. We are convinced that Virtual Promoter has made a significant breakthrough in terms of digital transformation in the retail sector. Please register in order to see the complete profile of AMERIA.